Kyle Lacy is VP of Marketing for OpenView. His team is responsible for building and leading marketing strategy around all things OpenView. 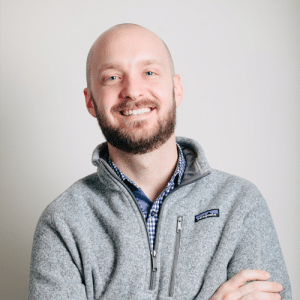 Before joining OpenView, Kyle led the global content marketing team for ExactTarget (acquired by Salesforce for $2.7B) and the Salesforce Marketing Cloud. His team managed the creation of content in six countries worth over $15M in demand generation each quarter. He co-founded a marketing agency in 2006 where we wrote three books including Twitter Marketing for Dummies, Branding Yourself, and Social CRM for Dummies. Some people say that money makes the world go ‘round, but savvy marketers will tell you that data is what keeps their world spinning. Are Identity-based Networks the New Content Marketing? TrackMaven CEO Allen Gannett on Hiring: Skip the Happy Hour. Rely on Referrals. What do expansion stage CEOs need to know about the rapidly changing role of analysts like Forrester and Gartner in the software industry? The problem with most marketing is that we do it just to do it. The bigger problem is that we constantly have to feed the beast. With Valentine's Day this weekend we're sharing 14 sales tips to help you set the mood and win the big deal. For ExactTarget, "being Orange" came to represent the epitome of what a cohesive company culture and brand is capable of.